A magical, romantic and textural autumn wedding, overlooking the Hudson river and the statue of Liberty. Set in an old warehouse on a Brooklyn Pier, the setting was historic rich, and rustic. 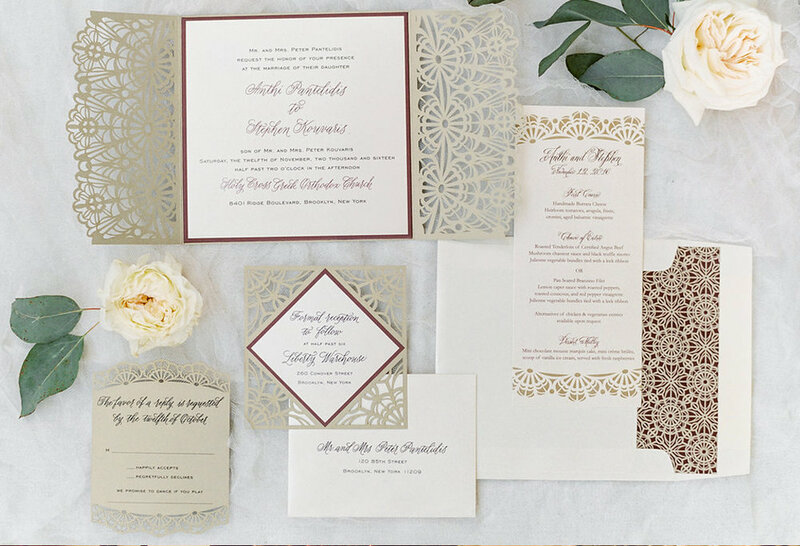 The palette was fresh and unexpected, marrying deep velvety burgundy and gold, with cream, green, and pops of pink and peach. Tall candelabras and lighting everywhere cast a truly ethereal glow. Surrounded by wind, water, wood, brick and candlelight....we couldn't help getting swept up in the romance on this magical day!